If you follow me over on instagram or snapchat (fashionhayley on both!) then you'd have seen that I went to the Royal Melbourne Show on Saturday night with a few of my friends. When I found out there was an after 5pm ticket for only $20, half the price of the full day I decided I just had to go this year. The show is an Aussie tradition, every city has one, as do lots of country towns. 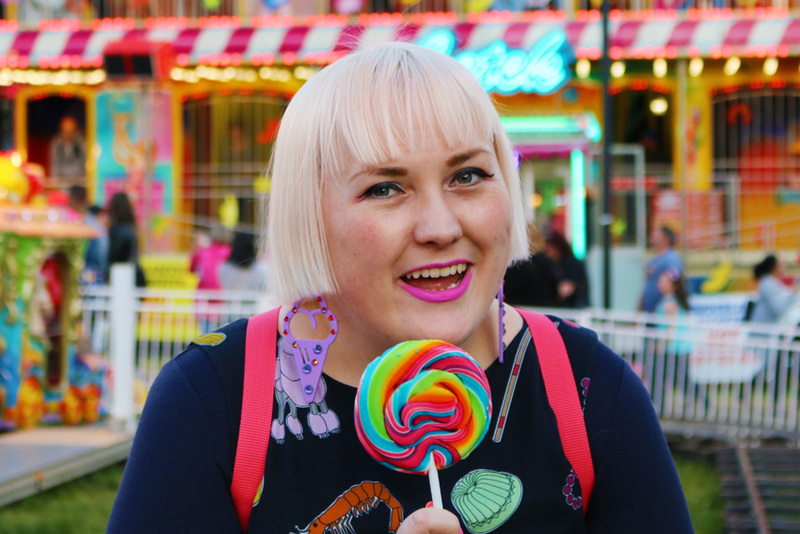 It's full of rides, animal shows, fireworks, food and drink tastings, craft and baking competitions and showbags which are themed bags full of chocolates and lollies and novelty toys. 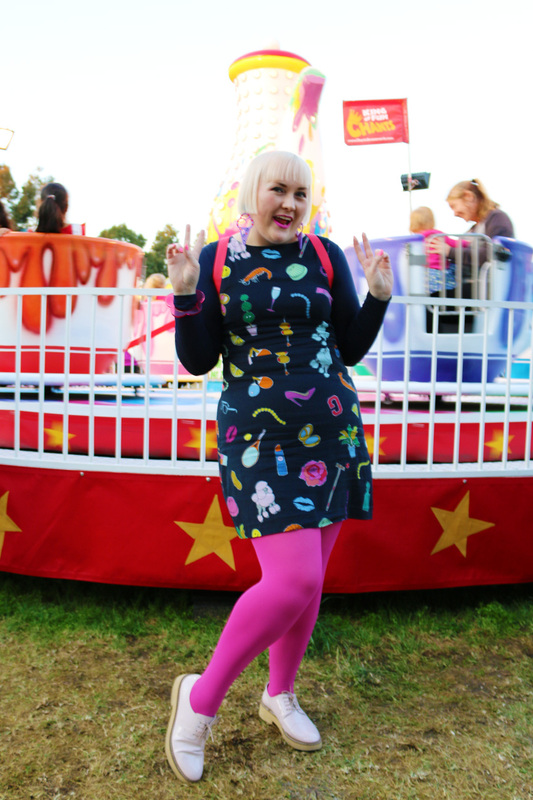 The Royal Melbourne Show is basically a big country fair only in the city. As a kid the show is a magical place, full of fun and wonder. Well now as an adult who hadn't been in maybe 10 years I can safely say it's lots of fun for us too! HELLO cocktail bar in the Winning Tastes Pavilion. Yes I managed to get pretty drunk and fall both into and out of a ride getting in and out of the cart, you see it kinda swayed and well I just tumbled out, face planted then rolled down the metal entryway, a very embarrassing moment and I have a lot of bruises from that incident. Luckily I didn't spew after all the cocktails followed by roller coasters but I did forget to take more photos other than these just of my outfit, sorry about that but I was just having too much fun. I'm definitely going to go back next year, maybe for the full day because 4 hours was just not enough time to see and do everything. 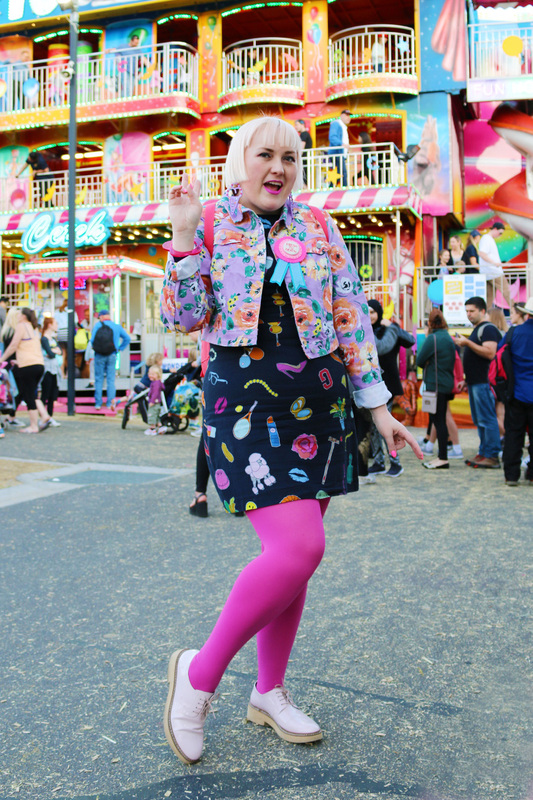 I wore my new favourite Gorman dress, I thought the fun patches print was kinda ideal for the bright lights of the show. I love the fit on this dress, I'm really loving wearing more tight fitted clothes these days - a cute hint of my belly and curves. I think my belly looks really cute so I'm really into showing it off, reminds me of a Bei Bad Girl drawing. I love my new Kanken backpack! I got it in the peach pink colour as the blush pink which is more pastel has been sold out for months and I couldn't wait any longer. 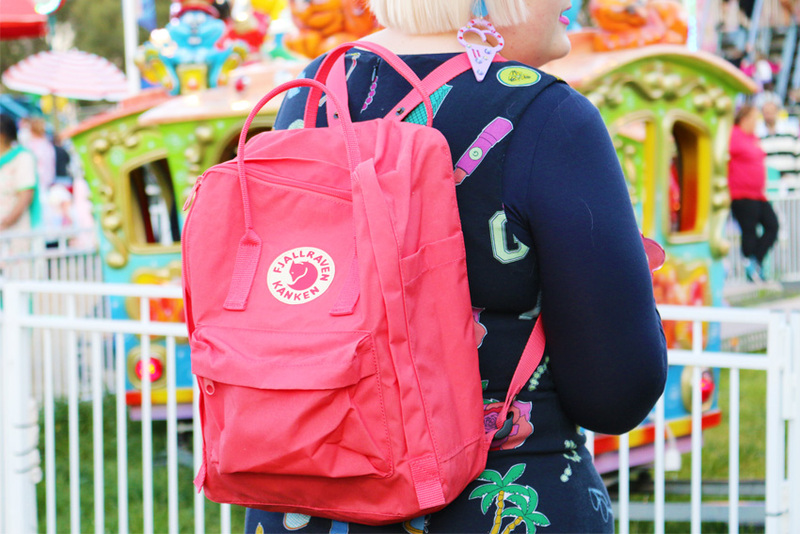 I'm loving this one so much that I think when the pastel is back in stock I'll buy it anyway because this bag just fits so much stuff and is so lightweight and cute and well pink haha! Blissed out and hyper on too much sugar in my very fitting and super cute Doodad and Fandango ice cream earrings! Oh what a super fun day!